Ah, camping and summer vacations… Ah, S’Mores…. We’re starting to plan our summer camping trip and vacations. It’s got me thinking about S’Mores. I love them, but sometimes they are hard to make, (or messy) or your vacation plans are taking you someplace that isn’t good for S’Mores Making. 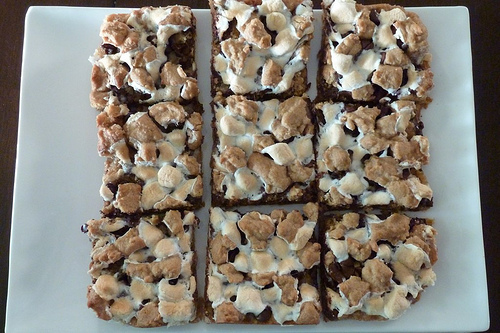 These S’Mores Bars from Wingledings are made using cereal. This amazing version is from Designed by Dawn Nicole. 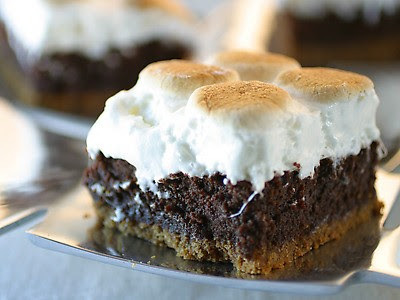 What about these S’Mores Brownies from The Food Network? 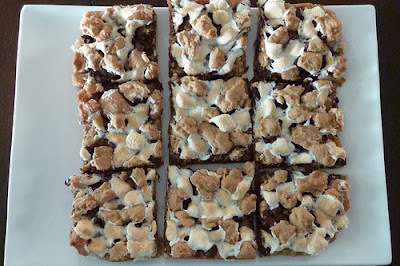 I have made these S’Mores Cookie Bars from Lovin’ From The Oven several times and believe me, they are da bomb. 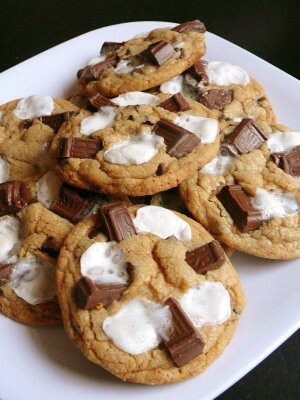 These S’Mores Cookies from Baked Perfection look sure to please. Food on a stick is always a bit more fun. 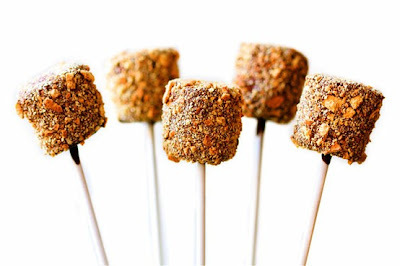 That holds true for these S’Mores Pops from Gimme Some Oven. Want to elevate the S’More…? How about these gorgeous cupcakes from Spoon Fork Bacon?! My sweet tooth is definitely ready for our camping trip. For more camping and vacation inspiration, be sure to check out the KOA Campfire Community. 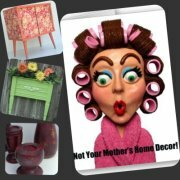 Be sure to enter the giveaway for $50 to my sponsor’s etsy shop! Today is the last day to enter. I am a s’mores snob. I want Nabisco Honey Maid Graham Crackers and Hershey’s Chocolate Bars. No substitute. I am flexible about the marshmallows, but that’s about the only concession I can make. 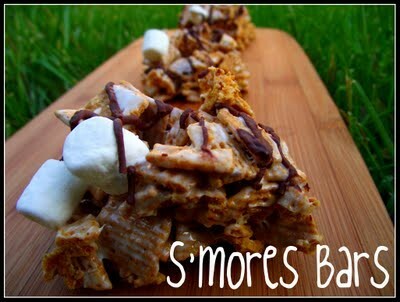 HOWEVER, those S’mores Bars look really, really good. And if you say they’re good, then I’ll try them! Oh course Pinterest has an answer for that!! I consider myself a S’mores aficionado. Now, I have made and eaten the first one, my mom used to only buy Golden Grahams for this recipe. 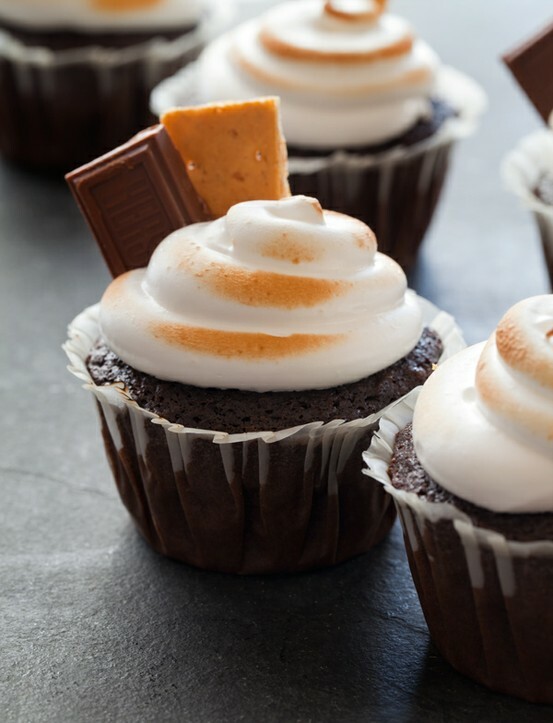 I have made those brownies from Food Network, my neighbor (an almost professional baker) brought me those S’mores cupcakes and I almost beat off my family with a stick to keep them from eating them! When we make s’mores here, I out eat even the big men. It is kind of gross. I am unsticking my rear from this chair and heading directly to kitchen to make those Cookie Bars!! If I don’t fit into my ski pants next week, I am blaming you. UGH!!! I just had to look at this post at 9 pm!!!! I so love me smores……. 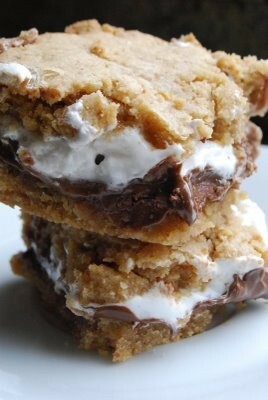 I’ve made those S’mores cookie bars too…totally DE-lish!!! We completely failed to camp last year. So sad. And this post made me sooo hungry. Mouth watering and completely torturous since I’m on a flipping diet. I guess I’m too late to enter the giveaway? I hate when I’m a blogging slacker.